A troubled family takes a break at a caravan park. The strikingly bleak opening sequence of Two for Joy introduces its lead character, and central touchstone of innocence, Troy (Badger Skelton), roaming about an urban wasteland. In a grim wide angle, we see the 12-year-old biking across concrete, which has been invaded by flourishing weeds, before illegally climbing a fence to get to the river beyond, where the lad spends his days fishing in solitude. The resonance is immediate: the fence, the flowing water, the grid-like concrete, which brings to mind a prison yard (the abundant weeds also connoting prolonged neglect), suggest a sensation of being trapped and an innate desire to escape. Accordingly, we cross cut across town to Troy’s older sister Vi (Emilia Jones), who is enjoying the abandonments of the last day of school; exam leave, Lambrini in the park, felt tip pens on the school shirt. But in an acute mirroring, Vi’s freedom is cut short when she leaves the park early to check in on her mum (Samantha Morton), who is severely depressed following the death of her husband. And if we didn’t yet get the symbolism, an oblique sequence weaved within the siblings’ introductions depicts an unknown figure carrying a cage wherein two wounded magpies convalesce, waiting to break free into the wild blue yonder beyond. It’s no wonder then that an impromptu stay at a caravan park along the coast is in order. But before that happens, Two for Joy presents a (happily hurried) de rigueur sequence of Troy getting involved with a local dickhead (they’re in every town: go to your nearest convenience store and you’ll see an expy of this prick hanging about outside causing trouble) and unfortunately ends up knocking off the corner shop with him, instigating an inevitability of doom over subsequent proceedings. 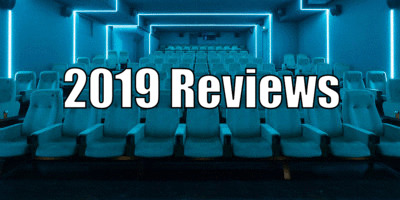 But when this stereotypical plotline opens up and Tom Beard’s film reaches the seaside, Two for Joy finds its natural pace, with its visual style and character development blossoming like the hardy weeds breaking through the concrete during the film’s opening. At the ‘resort’ (a generous word to describe the familiarly chilly and remote camp site), our family meets and starts knocking about with the oddbod gang of Lias (Daniel Mayes), his fraught sister Lilah (Billie Piper) and her peculiar daughter Miranda (Bella Ramsey). Oh my god, Miranda. Bella Ramsey is simply incredible (how good? Let’s just say that for the first time ever Samantha Morton is not the best part of a film), a damaged, manic force of dark nature, as if Little My from The Moomins had grown up all tough on a council estate. Her first meeting with Troy, a delicate and lonely little boy who latches on to her, involves her repeatedly dunking him in the sea as she absent-mindedly repeats lyrics from 'Sunshine' (a film-long habit which becomes increasingly haunting), and it's downhill from there really. There is a sense of frenzied delight in their friendship: after their impromptu swim, the two take an innocent shower together. Miranda comes on during it and, completely unabashed, rubs her hand on her bloodied leg and smears her menses on Troy’s bewildered face for a laugh (!). Two for Joy is redolent with weird, affecting moments like this. In an early scene that made me cry with its perfect fragility, literally a few minutes in to the film, Troy catches a fat roach, gives its slimy skin a gentle kiss, and then releases it back to the river - lovely. Beard’s style is pure poetry, and as the rushing river gives way to the open ocean and its implicit dangers, the narrative winds tighter and tighter, suggesting there is no escape from the inevitable tides which wait. As a debut it is insanely impressive. The direction and performances are exceptional, and the visual set is never anything but arresting. However, there are a few strange cosmetic choices that impact negatively upon the film. To wit, throughout the film the action is framed by a curved border, which presents the drama as if we are watching it through an old-style television. There are several needle-drops from the late-90s (Atomic Kitten, the aforementioned Gabrielle, but sadly no Billie), yet I’m pretty sure that I spotted an iPhone in there. The purpose of this deliberately retro bricolage is unsure, and it almost dilutes the raw impact of Two for Joy by running the risk of obscuring its messages and ideas with stylistic flourishes which draw attention to its very fictionality. But in the words of Nigel Tufnel, perhaps that’s just nitpicking. As the drama intensifies, and the parental neglect of both Lilah and Aisha becomes more apparent and their kids take the notion of escape to fatal measure, the film builds to an astonishing denouement. I genuinely forgot to breathe at least twice during the film’s punishing last act and have found it hard to shake off this devastating film ever since (not least of all having 'Sunshine' stuck in my head all weekend). It is one for sorrow, yes, but Two for Joy is also one to watch . 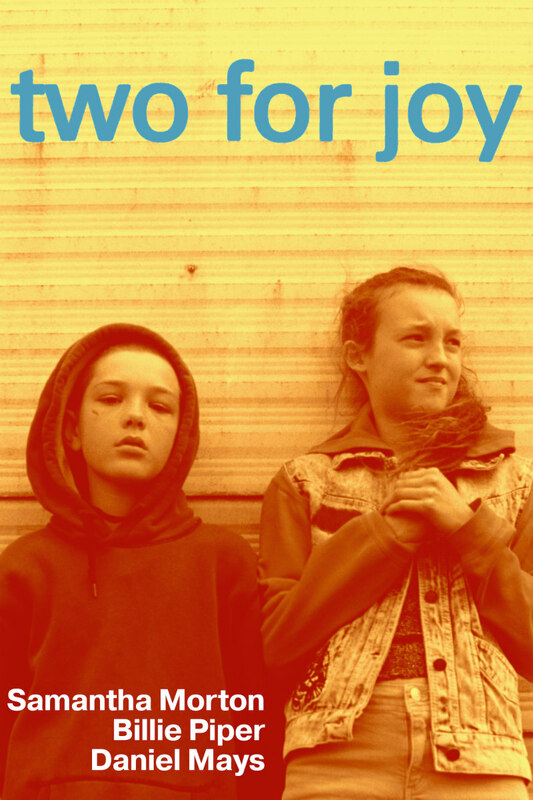 Two for Joy is on VOD February 25th (Itunes: itunes.apple.com/gb/movie/two-for-joy-2018/id1443901223). A special Q+A screening will be held at Screen on the Green Islington on February 20th (book tickets at everymancinema.com/screen-on-the-green/film-info/two-for-joy-live-qa).